Akwesi Agyeman a wealthy farmer and trader is captured and sold into slavery when he is going about his business in the nearby villages, after his mother dissuaded him from taking in a second wife. His trip from the coast of West Africa to a stopover in Liverpool is horrendous, as they were easily slaughtered and thrown into the sea at the slightest stirring of rebellion. Moreover, he is transferred to Kingston (today's Jamaica) on his arrival, where he is involved with a white woman, whose loathsome father is the owner of Richmond Groove where he is forced into hard labour. After many years of slavery Akwesi Agyeman finally finds himself sailing back to his village in the West African coast. He discovered that a lot has taken place since his kidnapping. Furthermore, to make matters worse he learnt that his enslavement is in fact carefully planned by someone in his household. "Cry a Whisper" is an interesting historical fiction on the transatlantic slave trade in spite of all the horrific act carried out upon the people of Africa. Lucy Safo did a good job with her debut novel. I was taken aback as most of the events unfold unpredictably, to the degree of not understanding some of the interrelationship. All in all, I highly recommend, especially if you would like to have an insight into the transatlantic slave trade. This novel is the winner of 1994 Commonwealth Writers' Pize: First Book Africa and; therefore, part of my reading challenge. Mary, thanks for your review. I should know this book and don't. However, as a result of reading your review I've just ordered a copy. 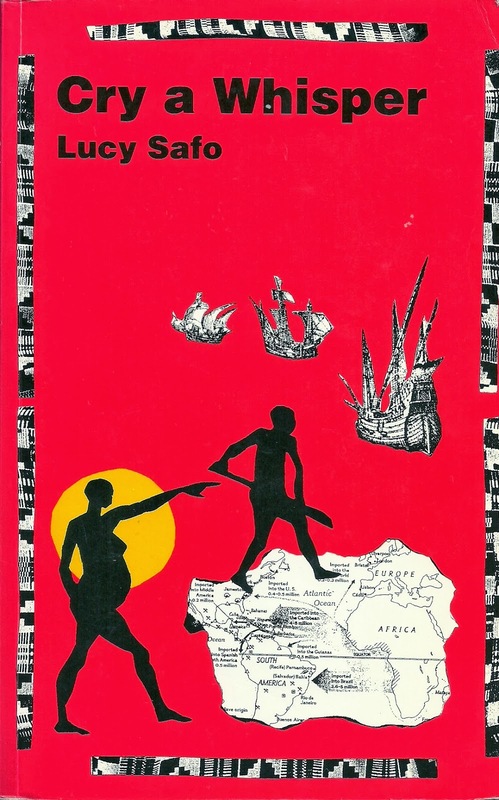 This afternoon I was at a meeting of the Ghana Association of Writers and asked my fellow members whether any of them had heard of Lucy Safo. None had. The Internet suggests that this was her only book. Do you, or any of your readers, know anything about her? I learnt about her through the Commonwaelth writers prize. Cry a Whisper is her first novel. I will make make enquiries and see what I find out about her and let you know. I will like to know your thoughts on her novel too. First time I'm hearing of her too, Mary. Sounds like a great book though. Really? wow! The book is quite good.